Tippers offer an ergonomic solution that effectively handles bulk items that arrive in similar containers. This could be roll containers, trolleys or totes. Postal companies often work with items transported in roll containers or yorks. When combined with a sorter, tippers can offer a significant capacity increase. For instance, they can be connected to a paddle belt and automatically transport items towards the induction platform. 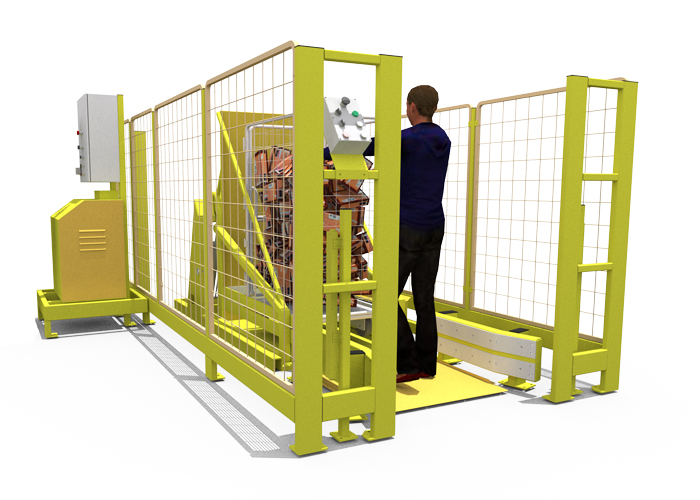 Another use case is to tip items onto a infeed belt conveyor, from where they are automatically inducted into a sorter. To protect operators, tippers are surrounded by a fence and the controls are placed outside of the fence.